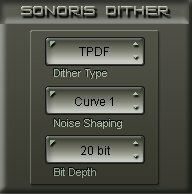 Sonoris Dither is a professional, high quality audio plugin for mastering purposes. 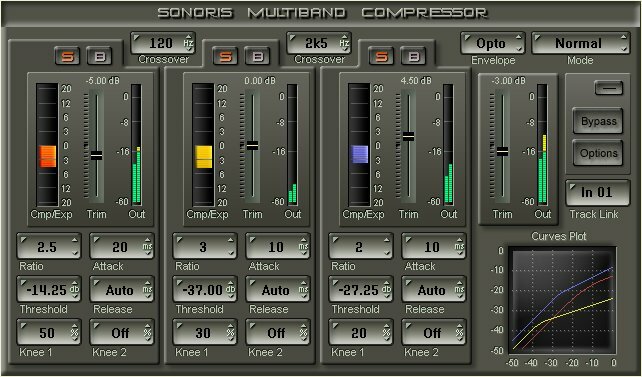 With this plugin you can quantize audio to a lower bitdepth with dither and/or noiseshaping. The dithertype is selectable between TPDF and High Pass (HP) TPDF. TPDF is short for Triangular Probability Densitity Function, a form of dither that eliminates non-linear distortion during re-quantization and has no signal modulation artifacts. 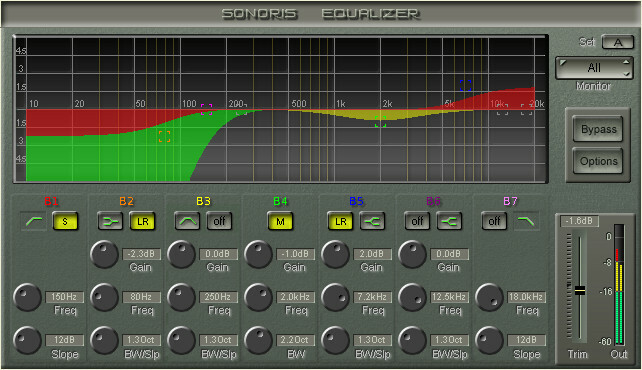 The noiseshaping can be set to three flavors: Curve A, B and C or “Off”. It is also possible to set noiseshaping without dither. The output bitdepth can be set to 16 and 20 bit or “Off” for no quantization. It gives superior results in all 3 of what I consider the categories dither choices should be judged on (effectiveness, transparency, “pleasantness”) over all my other options, including all the SAWStudio native choices. 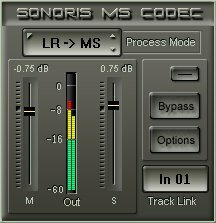 This plugin has my full endorsement as the best choice for anyone using SAW who is concerned with achieving with their 16bit masters a sound as close as possible to their 24bit mixes.